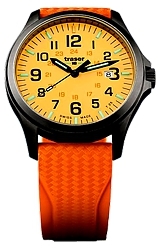 Traser's P67 Orange Officer Pro GunMetal Watch, model 107423, offers a fantastic Lumibrite Glowing Dial in a bright and easy-to-read orange plus Tritium Illumination on all number markers and hands. 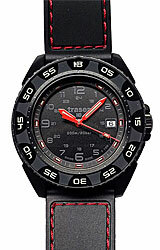 The Traser P67 Glowing Dial Watches are great looking and sure to attract attention day or night. 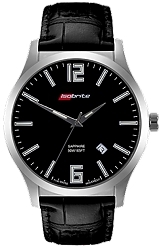 Don't let its good looks fool you. 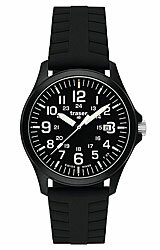 The P67 Officer Pro is a fine Military Grade Officer Field Watch with a surgical grade stainless steel case, gunmetal finish and a nearly scratchproof sapphire crystal.